A yearly license or a lifetime license is available for 1 computer. A yearly license or a lifetime license is available for up to 5 devices. Free software update and technical support are included. Your privacy is important to us. We will not sell or leak your personal information whatsoever. Expert representatives are committed to provide professional support. All emails will be responded within 24 hours. All of our products come with free trial versions. We also provide 7-day money back guarantee after you bought it. Keycode will be sent to you through email within minutes after your order is successful. The first and best data recovery tool for iOS and Android. With over 10 years of presence in the industry, dr.fone is known as the first data recovery software in the world for iOS and Android devices. The tool is already trusted by over 50,000,000 users the world over. It is a highly secure and advanced tool that makes it easier for its users to recover their lost or deleted content without causing any damage to their device. 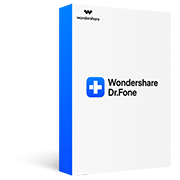 Being one of the top-ranked data recovery software, dr.fone by Wondershare is trusted by over 50 million users worldwide. The tool comes with a reliable presence of 10+ years in the industry. dr.fone is also recommended by leading experts and media ports worldwide. It has been featured on websites like PCWorld, AndroidPIT, Lifehack, PCWELT, PC-Tablet, TonTenReviews, and more including 500 different professional reviews. dr.fone won't access, leak, or modify your data. It comes with a 100% privacy protection, ensuring that your data would stay safe and secured. The tool comes with a responsive customer support. Therefore, you can get your queries resolved in no time by getting in touch with our support team. No prior technical knowledge is needed to work with dr.fone tool. The data recovery process is simple, fast, and effective. You can get the desired results without watching any tutorial. The tool is fully compatible with all the leading iOS and Android devices. This includes all generations of iPhone, iPad, and iPod Touch. Also, it supports over 7000 Android devices. The tool comes with a 7-day money-back guarantee. Under the provided circumstances, your refund will be approved during the guarantee period. All the headers, images, logos, splash screens (collectively known as "Marks") displayed are trademarked and property of Wondershare (or its third-party vendors). The distribution, display, copying, using, or modification of Marks without the permission is prohibited. This will lead to the violation of the copyright and privacy laws in China. With this, you agree to indemnify and defend Wondershare (its employees, officers, and agents) from claims, liabilities, losses, costing, attorney fee, and other damages related to the use of the site, user content, or any other violation. Any reproduction of the content on this site must include proprietary and copyright notices. The use of this website and the license of the tool are governed by your country's law and the laws of China. Advancer Limited. Merchant Billing Address: Third Floor207 Regent Street, London, W1B 3HH, UK. dr.fone is a 100% safe and reliable tool. You can install it on your computers and smartphones without any worry. It won't access your data or would perform any task without taking prior permission. Is it compatible with my phone? The tool supports all the leading iOS and Android devices. This includes all the models of iPad, iPhone, and iPod Touch as well as more than 7000 different Android devices. Will I get lifetime free updates? Yes. After purchasing the product, you would automatically get a feature of lifetime free updates.